Note: This is a very specific procedure for a specific model of Dell laptop, while similar procedures may work for others, this information is only for the Dell XPS 9530. Also be aware any type of flashing procedure always carries the risk of failure and may cause further problems if done incorrectly. Use this information at your own risk, if you don’t feel confident or have an active warranty, call Dell technical support or see assistance from a I.T professional. Your mileage may also vary in terms of successful recovery as this is an undocumented recovery method, but if your out of warranty and are confident in BIOS flashing related areas, I hope this information is useful to you. First you need to obtain the Dell BIOS updater EXE for the XPS 9530. The version of BIOS you grab is important. It seems that the recovery process only recognises the version present on the flash chip, even if the BIOS is corrupted. Its a bit confusing, but scroll down a bit to see my notes on this point, hopefully it explains the requirements. Once you’ve done that, continue with following this section to extract the required BIOS version files needed. Dell generally keep the older versions of the BIOS updater EXE programs around on their download servers, but sometimes don’t make them easy to find. Luckily various sites tend to index these locations and if you search the exact filename in search engines this tends to yield there locations on the Dell’s download servers. I have also created a mirror of these files in case Dell removes them from their download server in the future. Once you’ve downloaded the BIOS updater executable you require, rather than opening up the application, your actually going to open it via Command Prompt. A undocumented feature is that you can run the BIOS updater with additional parameters. Some of the parameters may not be applicable to all Dell BIOS packages, but in this case the two parameters were concerned about are writehdrfile and writeromfile, which extracts the files we need for recovery. Open Command Prompt (ideally Run as Administrator) you can either cd to the directory the EXE is in or specify the full path in Command Prompt. If there are any variations in the EXE name, make sure to change it before running the command. Also make sure the updater EXE is not on a UNC/network path (avoid Folder Redirection paths), as the extraction will fail, stick to local disk locations. If the command is successful the Command Prompt window will just enter onto a new line without any feedback and you should have a .hdr and .rom file called 9530a?? (version number will vary) or something similar in the same directory the updater EXE is in. You now need to rename both files to a very specific name, otherwise it won’t be recognised by the recovery process, the name is also dependant on the version of BIOS you’ve extracted. The filename required is VAUB0?? ?, all capital letters and that’s a zero (0) in there not the letter “O”. The question marks are placeholders for the version of BIOS you’ve actually extracted, so if it was A08 it the complete name would be VAUB0A08, if its A09 it would be VAUB0A09 and so on. You should rename both the HDR and ROM file to these names, keeping the original file extension in tact. If your curious, you can use a tool like Andy P (MDL) Phoenix-Insyde-EFI SLIC Tool to analyse the BIOS files embedded within the Dell BIOS updater exe, here you view various details about the files along with the all important recovery filename required. The recovery filename comes from the system board part number VAUB0, this will never change, the only variable is the BIOS version. You should format the USB drive with FAT or FAT32, you can use the built in Windows format tool to do this. You don’t have to label your USB drive with any specific it can be anything or blank. Once this is done you’ll need to copy the renamed HDR and ROM files to the USB stick, they are small files so it will take a mere few seconds. Once this is done, safely eject the drive and unplug it from your machine. Ideally you’ll want to plug the USB drive into the second USB port on the right side of the XPS 9530 (The one next to the SD card slot). The reason for this is because sometimes USB 3.0 ports can be iffy with procedures like this, the second port on the right is USB 2.0 and is generally more reliable for reading/booting off especially in such basic recovery environments. This may not be an absolute requirement, just something I’ve learnt over the years for other areas. A member on reddit posted a similar experience with a failed A09 update on the XPS 9530 and details the recovery procedure, credit to him for highlighting this somewhat hidden recovery mode. If your AC adaptor is already plugged in remove it now, make sure the laptop is also completely powered off. If not done already, plug in the USB drive into the mentioned USB slot of your XPS 9530, don’t power it on. The screen will remain blank during this initial stage. If your USB stick has a indicator LED it should start flashing showing its being read and after about 5 – 10 seconds your screen should come to life and you should see the Dell logo briefly followed by the flash utility. If you don’t see the flash utility below and your screen remains blank, this means the BIOS recovery file was not loaded. This can occur for several reasons, see my notes below. If the flash utility does appear your UEFI Firmware/BIOS will now be flashed automatically. It should be obvious, but don’t interrupt this process at all. 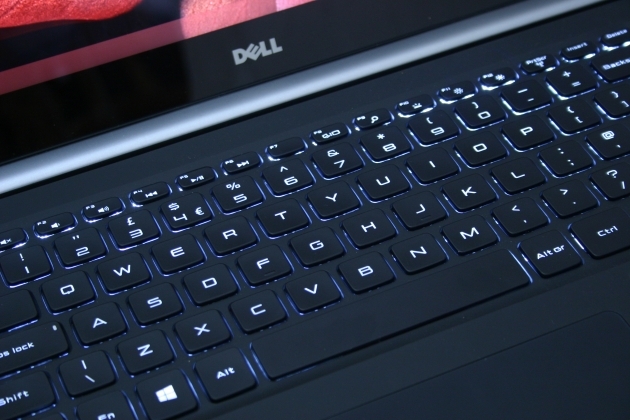 Don’t remove the USB drive, don’t power off the XPS 9530 and don’t even touch the keyboard! It took about a minute or so for me, but let it run. Your XPS 9530 should then power off and power on again automatically and if successful you’ll see the Dell logo appear upon power on, which is a good sign as you’ve just done a normal boot and the fact the Dell logo appeared shows the UEFI firmware is back in business and your laptop is no longer semi-bricked. Tap F2 to get to the BIOS setup to confirm. You’ll notice that the settings are set to defaults, this is because the NVRAM was cleared and rewrote during the flash. You’ll need to adjust them to how they were before, in some cases your XPS 9530 might not even boot to Windows any more until their values are set properly again. You can now unplug the USB drive, knowing that you’ve got the firmware and BIOS flashed successfully. I happen to use full disk encryption with Bitlocker on my XPS 9530 and this caused some problems after recovering my BIOS/Firmware. On the first boot after the normal UEFI Dell logo splash, I got the Bitlocker recovery screen, wanting my recovery key. After putting this in, the drive “unlocked” but then I got a BSOD with INACCESSIBLE_BOOT_DEVICE and got into a reboot loop each time entering my recovery key. I’d lost various settings previously stored in the NVRAM including TPM settings and other areas, so I re-enabled TPM in my BIOS, I also set the SATA mode to AHCI (as it was previously) and rebooted, again I got the Bitlocker recovery screen and the same BSOD. Eventually after third Bitlocker recovery screen I went to Advanced Boot options instead of trying to boot normally and chose Safe Mode, my XPS 9530 then booted to Windows in Safe Mode. I logged into the machine with a local user account. I then restarted from within Windows and this time normal boot worked. I guess Bitlocker was slightly confused about my SSD and a link needed to be re-established. After my first normal boot, I saw the Windows login screen again, what a lovely sight, logged in and I was back up and running again. Below are my additional notes on the whole process to provide additional information on various areas based on feedback and different situations. I don’t know the exact requirements for the USB drive, but I tested a 16 GB and 32 GB SanDisk USB drive formatted to FAT32, it doesn’t need to be a bootable DOS drive or anything like that. The large GB size is completely overkill and not required, its just the first ones I had to hand. The USB drive literally just need to be formatted to FAT/FAT32 to place two specific files on it. This is what the BIOS recovery process will attempt to look for during a recovery boot. A USB drive with a LED indicator is advisable so you can see if it is being read from for troubleshooting. In addition, in some cases the flashing procedure doesn’t start simply because the XPS 9530 rejects the USB drive for whatever reason. If you are having problems getting the flash utility to appear try different USB drives. You will need your AC adaptor as part of booting the laptop into a specific recovery mode because and its different than just turning on your laptop with the power button. An original Dell 130W power brick would be advisable, but its likely any compatible adaptor will work. In order to obtain the BIOS files required, ideally you need another Windows machine, any will do. You can also use a virtual machine if your stuck. The reason being is you need to run the Dell BIOS updater EXE with Command Prompt to obtain the HDR and ROM files. Though it is also possible to extract the HDR file with Linux, Dell published a tool called extract_hdr, you can also potentially use WINE to emulate a Windows environment and use the same command line switches detailed above. Depending on the BIOS you had previously or attempted to flash, the version you use for recovery is important. In fact, the recovery process doesn’t appear recognise any other version of the BIOS file unless it matches what is on the flash chip. The recovery process appears to be possible, because a certain part of the BIOS is likely protected from being written over and keeps a basic recovery environment available for this situation, even when bricked. It appears to need the same version that’s on the flash chip provided to it. So for example you can’t flash version A08 in recovery when you have a failed A09 flash. Despite failing, if it managed to at least flash something, its will only recognise A09. If in doubt, try different versions. This process worked for me, but its not guaranteed it will work for all attempts by others like any BIOS flashing procedure. There are a lot of factors to contribute to it working or not. I think one area that is apparent is badly messed up the UEFI BIOS/Firmware is and what state your XPS 9530 is left in, in some cases a software recovery may not be possible and only a hardware fix i.e. replacing the BIOS chip/system board will work. It seems if you can at least power on your XPS 9530 normally with the power button after a bad flash, there is hope. If you can’t power it on without removing the battery, then you seem to be out of luck and require the hardware route to fix it. Unfortunately while the XPS 9530 does to have this BIOS recovery mode, it is completely undocumented publicly, however the utility seems to be the official way to reflash your BIOS, after all its part of the firmware. As stated earlier, your mileage may vary in terms of successful recovery. It could be very much dependant on how badly bricked your XPS 9530 is. If you still can’t recover, I’d suggest contacting Dell, if your in warranty, they’ll likely replace your motherboard, while overkill, its the easiest way to replace the BIOS flash chip without having to do some soldering work. Dell’s technicians probably aren’t trained to actually solder systems! If your out of warranty, you’ll have to pay Dell for the repair or if you have decent soldering skills, you could buy a pre-programmed BIOS chip for the XPS 9530, remove the current BIOS chip and solder the new one onto your motherboard. Obviously this isn’t for the faint of heart! Alternatively you can also buy a refurbished motherboard and do a system board swap, it can cost however. I’d be interested in finding out of anything in this article allowed you to recovery your XPS 9530 from a bad flash, as this was an entirely learning as I went exercise. If you’ve had a similar experience or are having problems, sounds off in the comments and I’ll do my best respond!